Davos is a world-famous, luxurious vacation, spa, conference and winter sport town located in the Grisons Canton, Switzerland. It is also host to the World Economic Forum every year in January, while the entire world looks on in anticipation. Personalities from the worlds of economics and politics along with celebrities travel from around the world to attend the Forum. For over 20 years and with over 100 vehicles, TOP-ALLIANCE Limousine Service has been the ground transportation of choice, both for those publicly famous as well as for those well-known within their area of expertise. We offer transfers, e.g., from Zurich Airport to Davos and back, as well hourly hires before, during and after the Forum. We would also be very pleased to welcome you to our office, conveniently located in the heart of Davos on the Promenade. Experience pure luxury in the many five-star hotels and the fascinating view of the Swiss mountains. Experience our professional chauffeured limousine service in Davos which offers a safe, comfortable and elegant ride, ensuring you're confident and relaxed when you step out of our vehicle for your meeting. 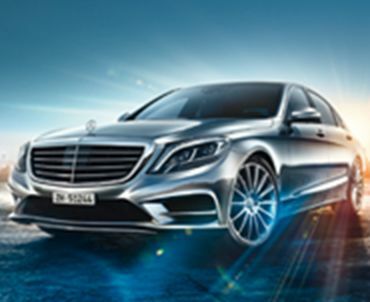 Choose between transfers from A to B or our hourly hire service with a dedicated chauffeur. Luxurious late model business class or first class vehicles and elegant minivans for up to eight people await you, so that you can explore Davos and its surrounding area as well as arrive on time for your appointments. Upon request, our chauffeurs will put together an eventful tour to make your stay in Davos a memorable one. Our service team is available around the clock, 365 days a year, to take your reservation. You can reach us quickly and easily by email or phone. Choose one of the two booking options for your chauffeur service in Davos: transfer or hourly hire. Name your preferred vehicle category, give us your destination, flight schedule and specify pickup and drop-off locations. The last step is payment with three different options: by credit card, bank transfer or invoice. Our friendly, experienced staff will gladly answer any questions you may have. We look forward to welcoming you. TOP-ALLIANCE – Your TOP address in Davos. Services in the listed cities are provided by TOP-ALLIANCE and/or our partners.